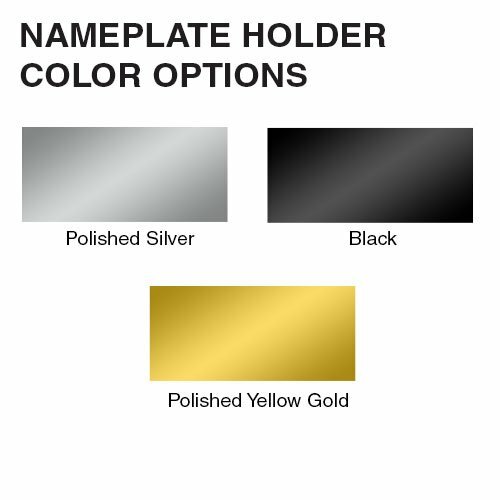 Two-Sided Cubicle Nameplate Holders 8" or 10"
Easily slide over any cubicle wall and slide in 2 nameplates. 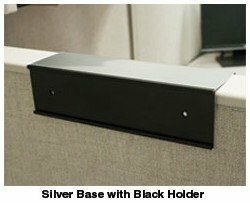 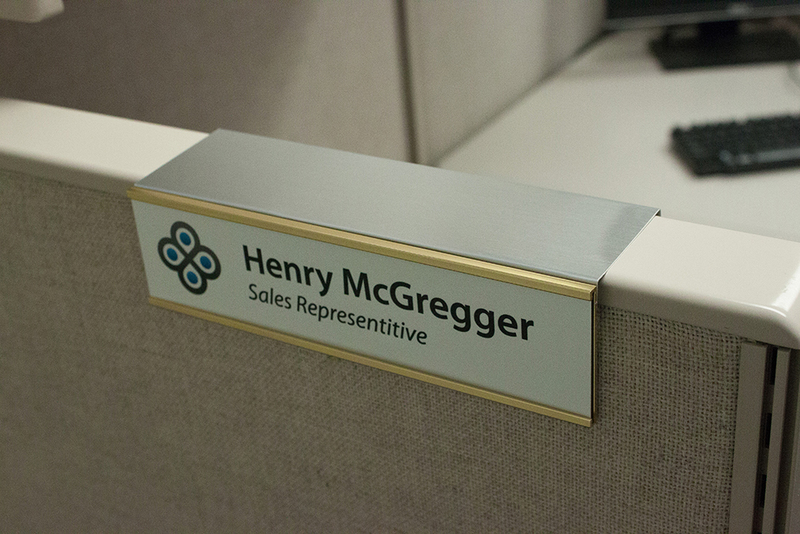 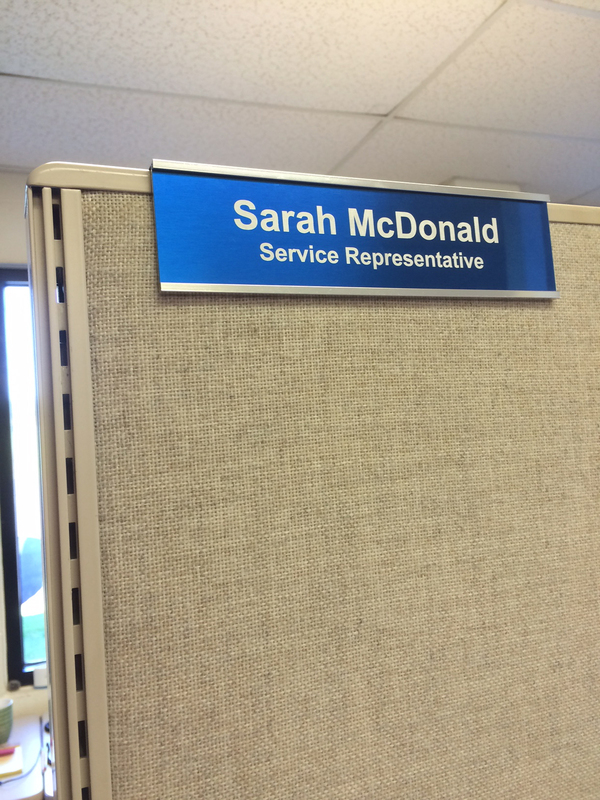 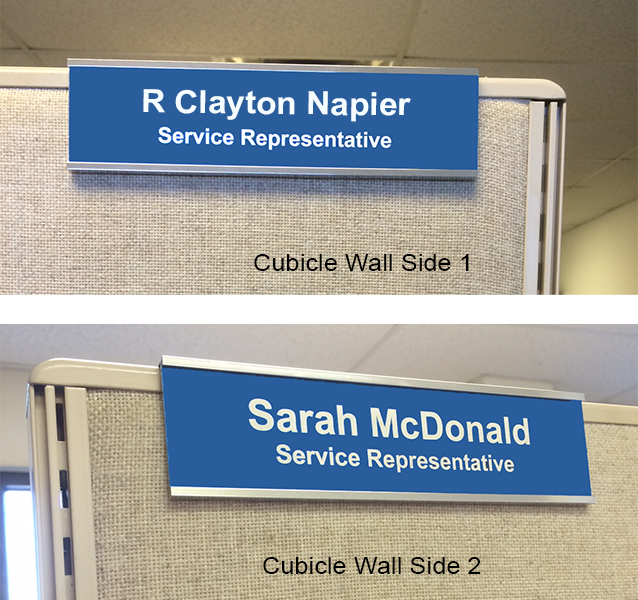 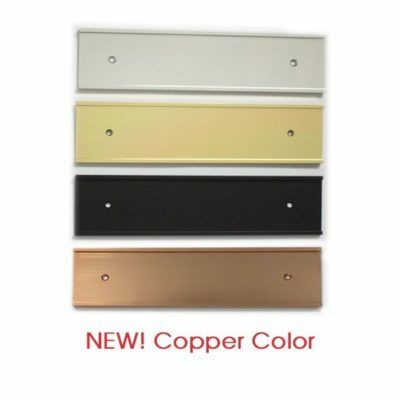 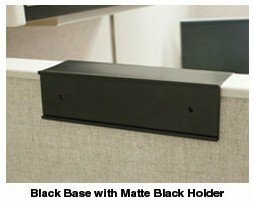 Two-sided cubicle nameplate holders are great for shared desk spaces or shared walls. 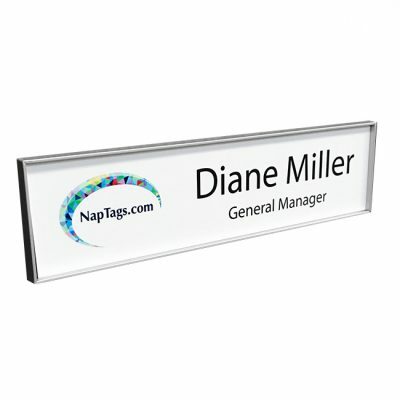 Better than traditional cubicle name plates with pins or Velcro™, these cubicle nameplate holders always look great and never damage your walls. 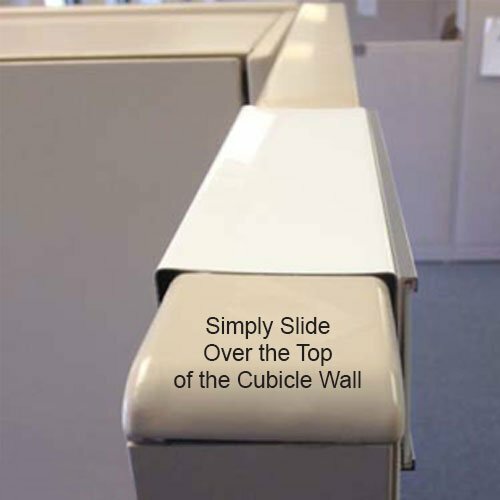 IMPORTANT: Measure the width of your cubicle wall and select below. 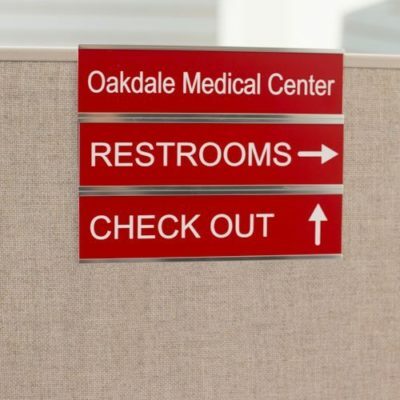 Please call if you do not see your size listed. 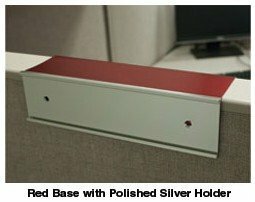 Call to order if your measurement is not listed. 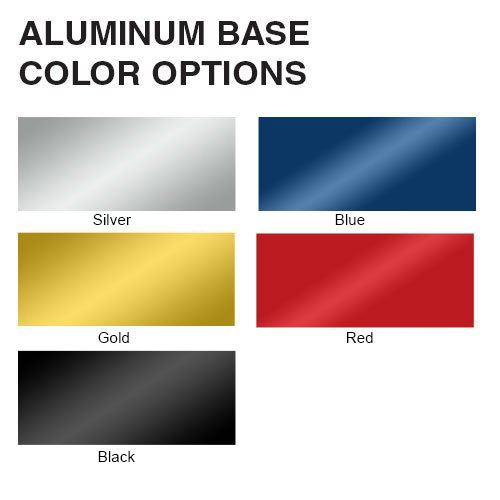 Minimum thickness is 1-3/4″. 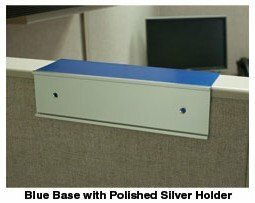 All Over the Cube products are made-to-order, custom sized, therefore, are NOT returnable. 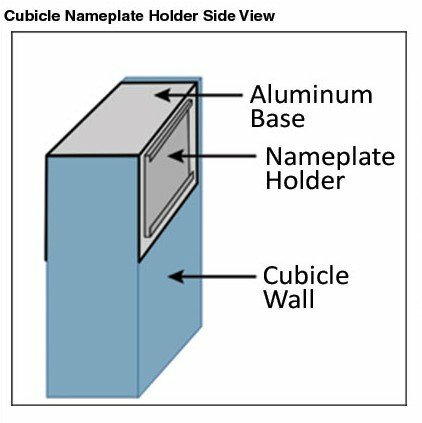 Cubicle Wall Thickness Choose an option2"2-1/4"2-1/2"2-3/4"3"